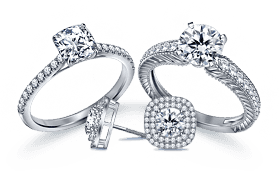 We understand picking the correct diamond can be very confusing. 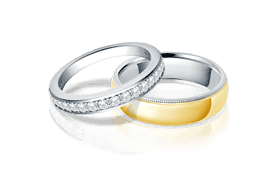 Let us help you find your perfect diamond in easy steps. 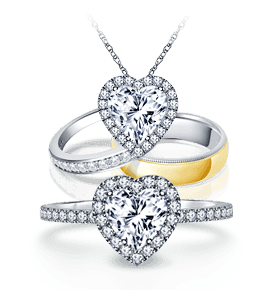 To add diamonds, search based on cut, color, clarity, carat weight and price. Good : This cut reflects a good portion of the light. Best Color : Minute traces of color detected only by an expert gemologist. Good Color : Minor traces of color not detected by the naked eye. Highest Clarity : Nearly perfect with minute or no inclusion even under magnification. Very High Clarity : Very few inclusions when viewed under magnification. High Clarity : Few inclusions when viewed under magnification. Top Recommended : Understanding your requirement, we recommend the following diamonds. These diamonds are selected based on the shape, size, cut, color, clarity and price that match your preferences.